One of my favorite early flowering Veronicas, making neat spreading mats of evergreen foliage. 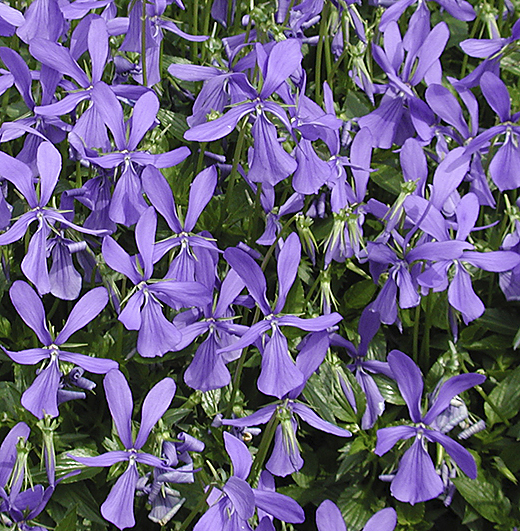 Palest blue flower-spikes in early summer, repeat flowering in autumn. Very good border front perennial, 40cm. high. 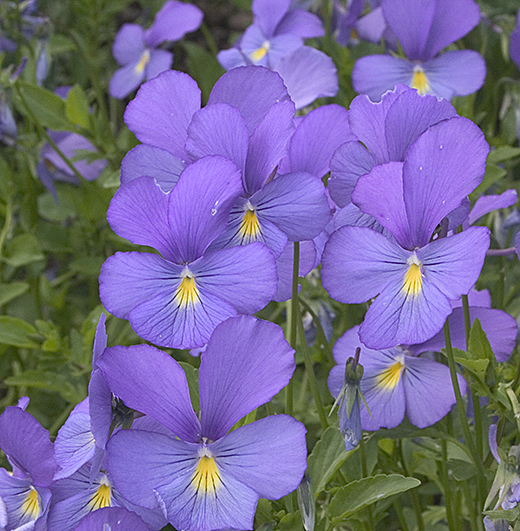 Strong perennial grower, producing a profusion of rich lavender-blue flowers, yellow eye. In flower earlier than most, April onwards. Personally I think this is the best blue. Very scented mid-blue flowers, 4.5cm. across. Very vigorous perennial habit, spreading 50cm. or more. 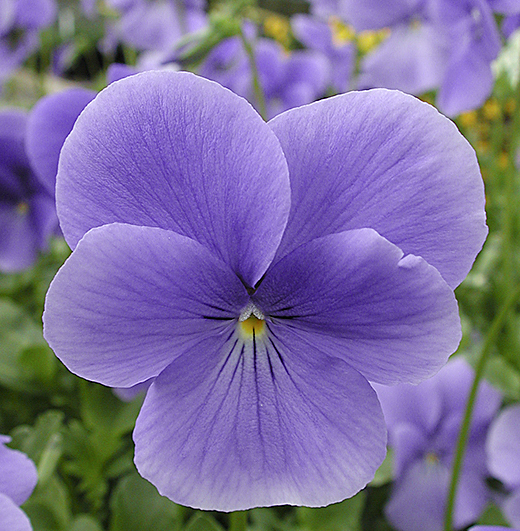 Originated at Eastgrove Cottage Nursery in Worcestershire. 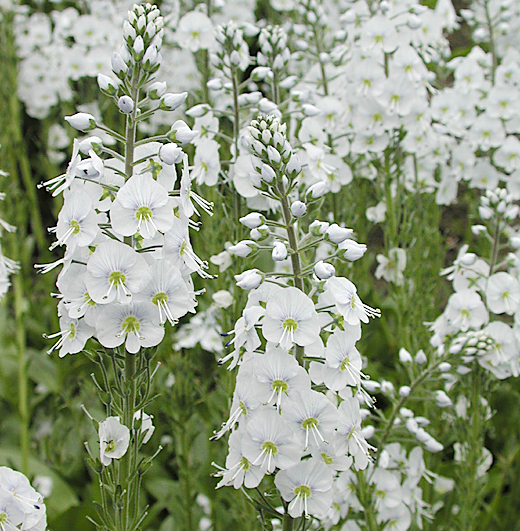 Strongly scented, large white flowers margined with lavender-blue. Striking orange eye. (EM) Soft subtle colouring of pale cream delicately overlaid & veined with pale slatey-blue. (EM) A new V. cornuta which appeared in our nursery garden, a seedling from V. c. 'Pat Kavanagh'. 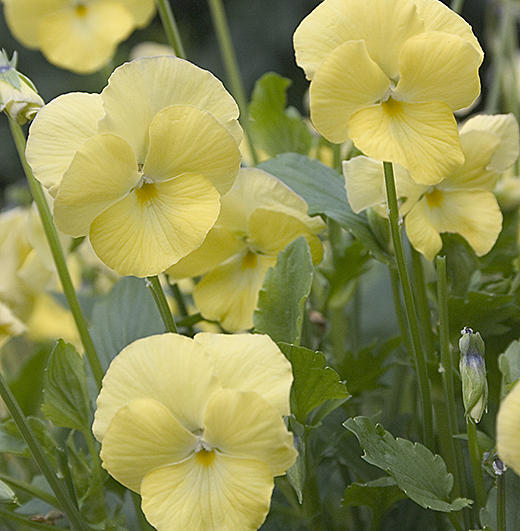 Typical elongated cornuta shaped flowers, rich yellow with a few delicate dark rays, paler reverse and a violet spur. Strongly scented. Very compact form of V. c. 'Alba', 15cm. high. 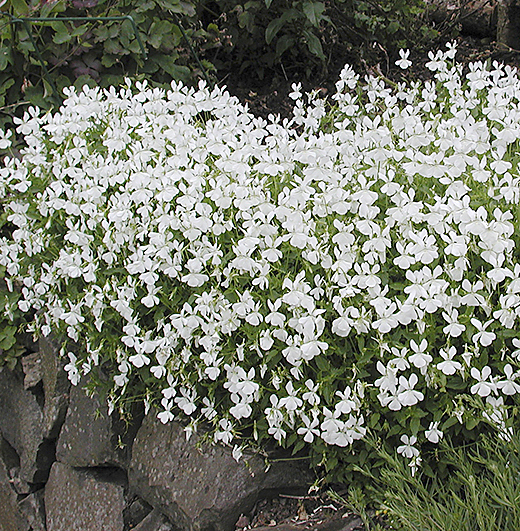 Very floriferous producing a mass of tiny white flowers all summer.